In 1896, the building which now houses the National Centre for Circus Arts opened as a power station, with the vision of creating energy by burning people's rubbish and coal. Over a century later, Shoreditch Electric Light Station is generating power again. This time it’s much cleaner! 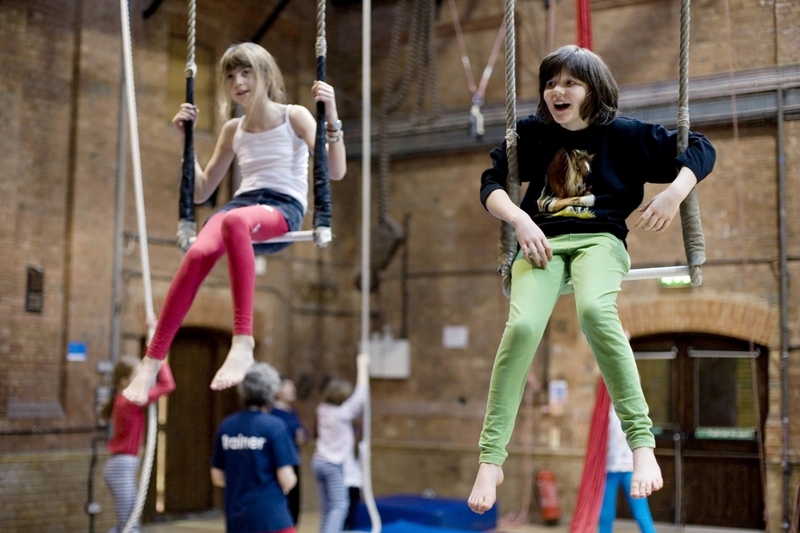 As a not for profit organisation and a registered charity, the National Centre for Circus Arts has to raise funds to provide its training, development and experience opportunities for everyone from kids to professionals. Lowering its carbon footprint (and energy costs) has always been a priority and through a package of behaviour change and energy saving measures it had cut its usage by 40% in just seven years. Solar was the obvious next step - not just to boost budgets further but because the team were keen to publicly demonstrate their carbon cutting commitment with the hope of inspiring others. "I love the panels, they've made our old Victorian building look sleek and modern. Investing in renewable energy is a fantastic opportunity to inspire future generations into respecting and harnessing energy." With lots more roof space available, the National Centre for Circus Arts hopes to install more panels in future! Newer PostTwo minutes to help us tackle climate change: 10:10 needs your vote!